【明報專訊】Here's an easy way to think of this series: imagine it as a story comprising a number of elements you might find in a role-playing game (RPG)— knights, bards (詩人), medieval castles, etc. 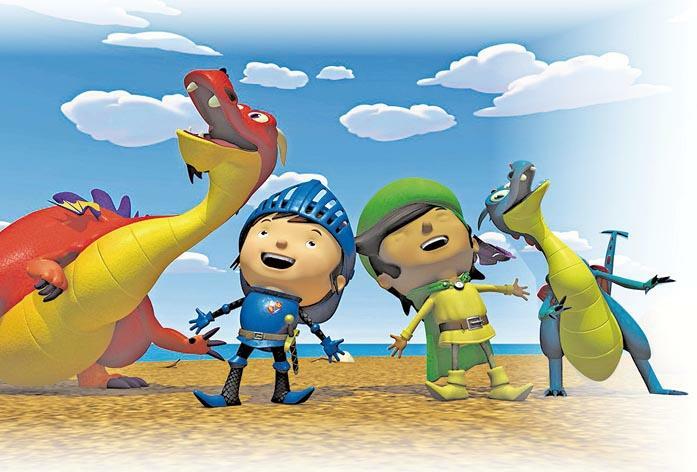 In these six episodes, Mike the Knight and Fernando the Bard face the Vikings (維京人)— in European history, they were portrayed as pirates, barbarians and armed raiders— who covet (貪求) Glendragon, the kingdom of Mike's father. It is also a story about friendship.